It's been almost an entire year since the last time i posted anything here. I stopped blogging for a number of reasons. Real life issues, a genereal lack of motivation, mostly it was just a choice between spending the little spare time i had blogging, or playing the game. So, even though i have had little to no time to actually play, and not any time at all to blog, a lot have still happened this past year. I won my first tournement (A team event at last years Clogcon), managed to get into invitational events, Steamroller finals (No singles tournement wins yet though). And perhaps the thing i'm most proud of, Qualifying for the Norwegian WTC team (Which by the way performed above all expectations and finished 2 and 4). But enough about the past, i'm here today, starting up the blog anew, to talk about the future. And what a future we tyrants have in store! Skorne is now in an amazing position, we have a lot of really strong builds. Our themes look really good. We have a lot of really good answers to the current meta. Cryx, is ofcourse an issue, but that faction is a problem for every other faction in the game right now, so that's nothing new. And though we might still struggle with them, we do have some decent answers, better ones than most other factions. I'll be starting on a small scale today, and talk a bit about what lists i currently play, how they play, what makes them good. And i'll talk about what matchups they cover, a bit about what the other factions can bring to the table against them. There'll be a lot to read through (and write), so let's just jump straight in! A quick note before we begin though, Since i'm mostly limited to experience gained from practicing at the local gaming club, and from tournements in Norway and Sweden, my viewpoint may differ from what you might experience in other Metas around the world. The Kitties LOVE to go first. Table space is the name of the game for this fast moving list, making it easier to pull off the usual strategy of locking opponents out of scenario, or denying their casters opportunities to advance. Having a +1 to the starting roll is incredible in that regard. Having played without the TyCom for the last 7 months have been a bit frustrating, but i found it was a necessary omision from the list as it allowed for the additions of Molik (in my case) or Orin/Legends/Krea (For most other Makeda players), But with the theme providing them for free, they are definately back in, providing their sweet toolbox of extra threat ranges, pathfinder if needed, two extra heavy hitters that are hard to remove, or just running in to score some easy points in a zone. Lastly, No tough/RFP... On ALL Melee attacks made by Skorne Warrior models.. Wow.. just.. Wow. I talked a lot about potential theme bonuses with other Skorne players in the weeks leading up to the Theme Release, but none of us would ever have guessed this. It suits the list incredibly well. Stopping every kind of recursion, denying souls/corpses (amazing in mirrors), making it much, much easier to deal with infantry swarms like Thexus/Trenchers and the likes. I really like this theme, and i have tested it a bit (Not enough yet though), so further tweaking might be needed. But i think it's a definitive improvement over the Out of Theme variant. For those of you that have read my earlier blog posts, or that have tried the kittielist yourselves, the way this list works is pretty self explanatory, but i will make a quick walkthrough. The basic concept is pretty simple. Tough, Steady, Dodge and Stay Death. These things combined make for a list that play the atrition game better than pretty much any other list in the game. Everything is centered around Makeda, a warlock that, although she have a pretty good spell list, never castany of her spells (except in a few special circumstances), but simply just run every turn to keep up with the otherwise hypermolbile list. Stay Death is a really powerful ability that lets the army survive WAY more punishment than it's supposed to. The cats are the backbone in the list, providing an incredibly mobile, fairly hard hitting strike force that block key models in the opponents army from doing anything useful while removing threats to the support elements of the army and setting up for a scenario win by jamming zones/flags. They are usually pretty close together, and with access to jumping and/or Dash from Makeda, they can unjam each other. Backing them up is the main heavy hitters of the list. Radheim, Molik and the Legends. It cracks armour, it deals with infantry, it's surprisingly shooting resilient, and it moves faster than pretty much every single other list out there. It does have a few weaknesses though. Grievous wounds (or other effects that prevents healing) shuts Stay Death down completely, effectively preventing Makeda from providing the buff that makes the list so grindy. She alsso have a limitied amount of Stay Death uses, meaning that lists that have enough quality attacks to power through all the defensive tech will also shut it down. Lastly, since everything usually have to remain within 10" of Makeda to benefit from her defensive stratagem, the list usually play very compact, meaning that lists that can effortlessly spread out and force Makeda to do the same to stay relevant on Scenario/attrition could be a problem. So, what kinds of opponents can bring those things? The main offender, Deneghra1, more specificaly in Ghost Fleet. The ghosts are really hard for Makeda to remove, same with the Battle Engine, and since they are both units that don't rely on Denny herself to do what they want to do, they can spread out a lot, typically they take a flank each, spreadin out as much as possible while the pirates advance up the middle. Furthermore, Denny's Feat and Spell list debuffs the cats to the point where the defensive tech Makeda brings to the table isn't nearly enough as a single pirate in most cases can trade with a Ferox. The RFP part of the theme force might help a tiny bit in the attrition game, but i don't think it will be enough. Apart from Denny there are a few other offenders as well. Grymkin is a huge issue due to their Battle Engine and Arcana stopping Stay Death and Tough. Thexus usually bring more than enough quality attacks to the table with Feat and TK forcing Makeda to play even tighter to keep the cats safe from being pulled out of Stay Death Range. Extreme shooting lists like Nemo3 and Caine3 also have enough firepower to power through Stay Death and decimate the kitties. So, Cygnar, Cryx, Grymkin and Mercs are the problems for the kitties. I'll add Convergence to that list as well. Father Lucant is tanky, and hit's incredibly hard. But what are they good against? Retribution really struggles against kitties, having no really good answers to the murderkitties. Trollblods (at least before their new errata) are in a pretty similar situation. Time will tell if that changes now with their new and improved toys. Circle, Menoth, Khador, Legion and Minions all have decent answers in their arsenal, but they don't always see play, overall the kitties are pretty good into them. So, for our second list, we need something to shore up Makeda weaknesses in Cygnar, Mercs, Cryx and Grymkin. Not an easy task considering the fact that they all play pretty differently from one another. Mercs and Cygnar usually a bit more tanky than the more infantry based Grymkin and Cryx. And considering that all of the forementioned factions have pretty deep toolboxes themselves, there's a ton of ground to cover. A bit too much unfortunatelly, but with our significant amount of viable options, we can get pretty close to covering it all. My current attempt? Xerxis 2. This list is incredibly fast, it's super Flexible, can approach match ups in several different ways, and it hits like a ton of bricks. The main elements of the list are Drakes, a fast moving expendable bunch of lights that, really, it doesn't matter what happens with as long as they get to fulfill their job of delivering a shooting alpha that severely cripples the opponents chances of dealing with the more crucial parts of the list. Namelly, the Derp Turtles. These guys are so incredibly good! 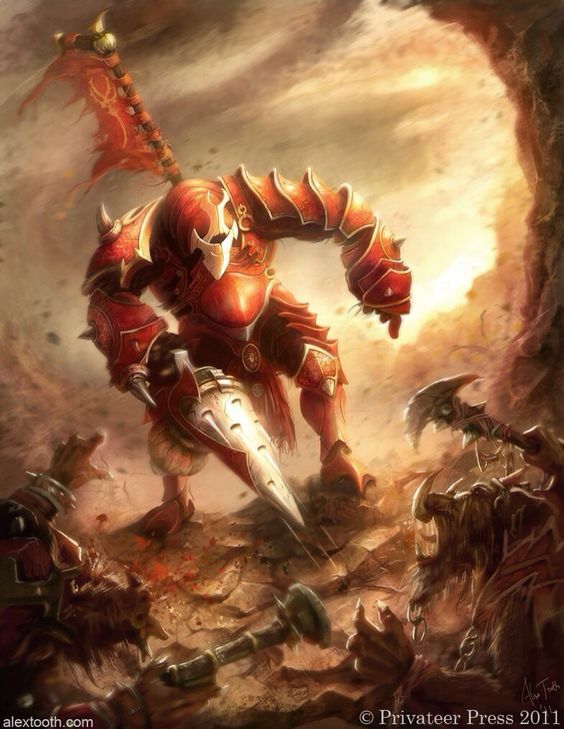 They are fast, they posess both a strong ranged presence, and hit's as hard or harder than most of our Heavy Beasts. With Independent attacks on the Spears, and their ability to Trample, they are pretty efficient at unjamming themselves, and under Ignite+Feat they truly become a terrifying force of destruction. The Kreas bridge the gap between the two halves of the list a bit. They are Free from the Theme Force, which is always nice. They hit really hard (an enraged, Ignited Krea with Flank can be compared to Molik Karn in strength, though with two attacks less). Their Animus helps things advance up the table relatively unharmed, and their Paralyzing shot can both prevent enemy heavies/casters from running away/charging, or just lower their DEF, making it easier to remove those hard to hit enemies. Since pretty much every part of this list that's not on a Huge Base is expendable, Xerxis can be a bit carefree in his positioning. Only keeping the things that absolutely need to be forced in his control range (limited as it is outside of his Feat), while letting the rest spread out more. I'm particularly fond of the flanking package of 1 Turtle, 1 Drake, 1 Krea with Rapport and the min Handlers. This little package is incredibly flexible, both shooting and hitting hard on it's own. The Chef can run around with them as well, making it a package that can score on any type of scenario piece if needed. Hyper aggressive is an underrated ability really, Yes, it might be stupid just careening off on the first shots in a turn, but when you take into consideration the "Whole board is control area" part of Xerxis' Feat, it suddenly become pretty valuable to move a Drake around near the end of the opponents turn. Especially with Bushwhack as well, consider moving the Drake 8" towards a shooting infantry model, lining it up to spray 3-4 infantrists, or maybe a key solo, UA or for that matter, an enemy Warcaster/Warlock. Then when it's your turn, you can both do that, and then move it, maybe it engages a Heavy? oh, is that a Krea within Charge distance of said Heavy? Bring in the Pain Train! It does sound like a collection of gimmicks and possibilities. But they are all surprisingly easy to set up for. And the list's natural Speed and hitting power, and easy access to magical attacks makes it equipped to deal with a lot of different scary things out there. So, now that i've talked a bit about how the list works in theory ( i will be making Battle Reps with both of my lists again very soon, Promise! ), how does it shore up Makedakitties weaknesses? Let's take a look at her proplems again: Mercs, Cygnar, Cryx, Grymkin and Convergence. Mercs (At least the Mercs i have seen), usually bring a combination of McBain/Damiano, Thexus and Ossrum. Ossrum can be tough to deal withwith his Feat, and his powerful shooting, expecially the Crit Staggers from their own Battle Engine can potentially Cripple the Derp Turtles before i manage to get up enough on Attrition. The other, more infantry focused lists however is a completelly different story. Sprays, Tramples, the amount off attacks each turtle can dish out in a wide area, and ofcourse the Anatomical Presicion of the Beast Handlers are all amazing tools to deal with infantry Swarms. So, Ossrum is a bit of a problem, but it's far from impossible to deal with. The Drakespam hits more than hard enough to beat it's way through it. It's all a matter of practice. The Ossrum player is probably still a bit up in the matchup, no matter how much you practice the matchup yourself, but it should still be fairly even. Cygnar's new top lists after H2 got hit is probably going to be a combination of Nemo3, Haley3 and Caine3/Sloan with some Strykers and the likes as well, but the main issue here is Nemo/Caine/H3. At least for the Kitties. Nemo is a horrible matchup for the kitties, as they get demolished by leaps during his Feat. I have no idea how the H3 match will go yet, but it could be pretty even i guess. Caine3 shoots incredibly hard, I simply don't have enough experience yet to properly figure out how much of a problem he will end up being. How does the Drakespam deal with this? Not incredibly well, but still better than Makeda. Against Nemo it's a really tight and even match i believe. Much will be decided by who gets the alpha, and most importantly, who manage to kill his opponents Battle engines first. It might be a tiny bit in favour of Nemo, but it's not by much. Caine might again be a bit of a problem. Xerxis has very few things to hide behind. i guess i just have to test it out more to see, but on first glance it might be a bit of a tough matchup for the Drakes. So Cygnar still isn't solved completely, but Cryx is a much beigger boogeyman in the Meta than Cygnar currently is. How does the pairing deal with that? Makeda herself deal with anything that isn't Denny1 Ghost Fleet, Drakes on the other hand have a decent answer against most things Cryx can bring to the table at the moment. But it's the Denny match that's the most crucial, and in that Matchup, the Drakes do pretty good. Magic Sprays is a pretty good answer to the ghosts and the infantry. The long threat means that if Denny wants to move close enough to Feat on them, she will move close enough to be sprayed on. Kreas can lower DEF so that even the Turtles can help the shooting assassination (if they can get close enough), and the Sprays ignore that Stealth to begin with. This Means that Denny has to be careful, and may be completely unable to use her Feat properly. This is especially true if the Drakes gets to go first, as that gives me the chance to move really far up the table and prevent Denny from applying her usual scenario Pressure. The Wraith Engine might be a problem, as it's significantly harder to remove with sprays, and outside of those, there's only really Xerxis himself that can do any real work against it. The lack of access to Guidance in the list really hurts.. The Matchup becomes significantly harder if Denny gets to go first, or if the Terrain allow her to advance more agressively and Feat with blocking terraing to hide behind. Overall, it's a fairly even matchup, again, a bit in Denny's favour probably, but it's a lot better than most other things we have against it. Grymking shuts the kitties down with the Battle Engine, and the Arcana, but against the Drakespam, they don't matter as much. The infantry focused Grymkin variants can't really survive the Spray onslaught, and most Heavy versions struggle surviving as well, asthe superior threat ranges of the Drakes/Turtles and the raw brute strength of the Feat Alpha often can be enough to cripple them for the entire game. Overall i'd say the Drakespam is a decent way up in the matchup, the worst opponent being the Dreamer, but even that should be a bit in our favour. Convergence is still going to be a bit of a Problem. Lucant will still be hard to deal with, but as long as that is the only really big issue, i'm fine. 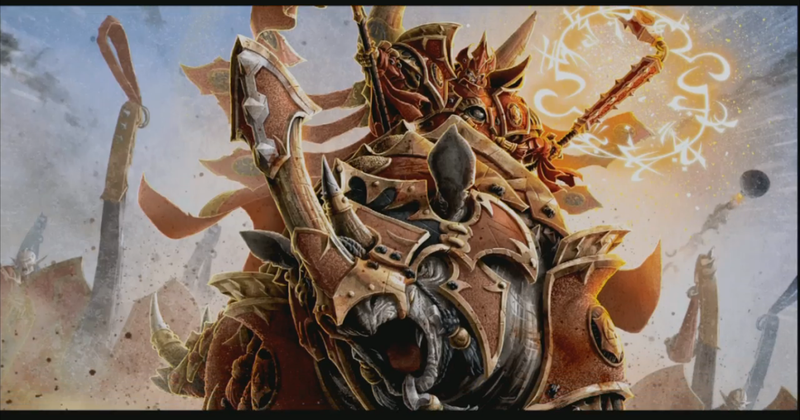 Skorne is in a really good place right now, and i can't wait to see more of what the future brings. I feel pretty confident saying that Skorne ranks in the Top 4 faction strengthwise at the moment, Cryx and Cygnar are definately still 1 and 2, but Skorne isn't that far behind them. We have a lot of strong builds, we have decent answers to pretty much anything we need to answer, and even more importantly, with lists like the kitties, Rashethwinds and the Drakespam, we pose questions that other factions really need to answer themselves. 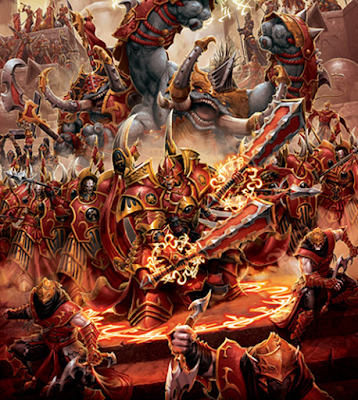 I will be starting up my battle reps again shortly, but until then, keep on playing, keep on testing and conquering the world for the Great Skorne Empire!